v Keep candles out of draughts when lit, otherwise it may cause them to burn unevenly, smoke or drip. v Keep wick central. Check melt pool from time to time, if it’s not central to the wick push the wick towards the area that’s not melting to correct it. The first time you light the candle, burn it for 4-5 hours so that a large melt pool is formed, by doing this you will open up the wax and on subsequent lightings the candle will follow that path using most of the wax. If you only light this size candle for 1-3 hours on the first burning, it will only burn a small core down the middle wasting a lot of your candle. Remember to keep your wick trimmed. Candles with a diameter over 5 cm / 2 inches should be burned on a spiked holder or flat dish. Due to the shape of these candles, you will need to trim the wick more frequently until the candle burns down into the wider part of the candle. If you have any wax left at the end of your candle and it is scented, break up the wax into small pieces and place small amounts on top of an oil burner (no water) light the burner and it will melt the wax releasing the fragrance. only be illuminated for a maximum of two hours. The shell must be allowed to cool for thirty minutes before relighting. Some candles no matter how hard you try will still burn unevenly, drip wax, and don’t burn completely. To minimize this try to keep the wick straight, & trimmed regularly. Keep the candle out of draughts where possible. Candles are made in many different ways therefore they burn in many different ways. In general more expensive ones burn better and longer.Allow wax to solidify before relighting. When burning torches, position upright in soft earth away from overhanging trees and branches. Do not burn torches on a patio or near decorative stone ornaments due to possible wax spillage. These candles can liquefy in use, always burn in a suitable flat based container with sides not on a dish or the candle may collapse. If enlarged or second flame occurs, extinguish candle immediately. Do not allow the flame to contact the glass, the glass will crack. When the candle gets to the bottom of the older put it out otherwise the container can over heat. Clean out holder before using a new candle. Floating candles should only be used in suitable water filled bowls if using in ponds or pools make sure you have net to fish out the remains after the candle is finished, most floating candles will sit level with the water surface and rise up as the candle is burnt leaving a small disc left with the wick when candle is finished. Use a snuffer to put out your candles, this helps to prevent sparks from being blown off the wick and reduced smoking. Ø Always use a heat/flame retardant container for your candles. Ø Glass containers may crack if exposed to direct flame. Never let the flame come into contact with the container. Ø Never leave a burning candle unattended. 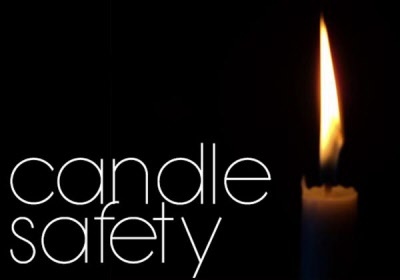 Ø Remove any décor & packaging from candles before lighting. Ø Be aware that some décor on or around candles used as decoration may burn or spark. Ø Don’t allow pets or children near candles. Ø Place candles away from curtains and other flammable furniture. If any part of the candle other than the wick ignites, such as printed film, debris put the candle out immediatly.